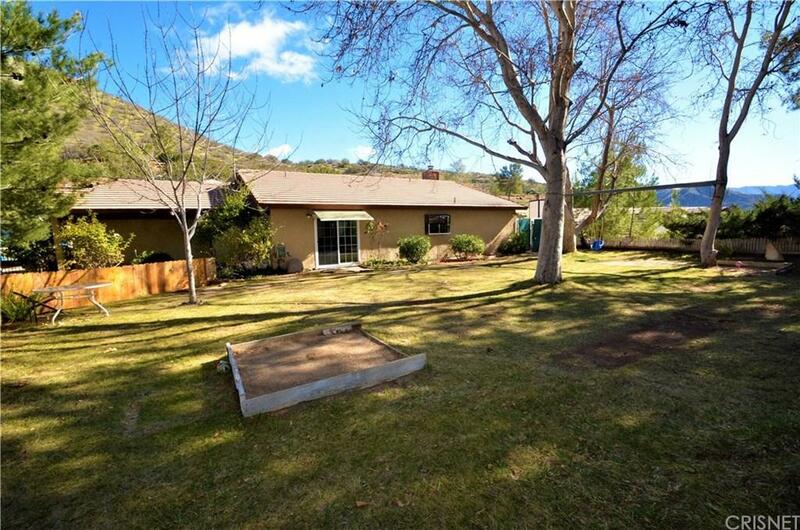 Desirable Rancho Santiago Estates view home zoned for horses--tucked away for privacy. Miles of riding trails right out of your back gate. ROOM for all your TOYS/CARS/HORSES/GARDEN! This well-maintained home has a fantastic flat front yard with beautiful views. FIRST TIME ON THE MARKET! This is a generous lot--42,288 square feet. The backyard has tiered levels with BREATHTAKING VIEWS. You could use each level differently which makes this lot even more appealing. Plus there are three sheds that will remain for your use. Plenty of room for cars up the long driveway. The garage has a drop ceiling, it is carpeted and painted with cabinets--making doing laundry fun! The back yard has a patio so you can enjoy dining outdoors. The kitchen has a breakfast bar and opens to the Family Room with a fireplace. The Living Room looks out towards the front views. The Master Suite has a custom shower for a tall person. There are ceiling fans in every room! All of this is on a SINGLE LEVEL! Washer & Dryer are included. Refrigerator is included. You have a paved road, public water, natural gas right here with the COUNTRY FEEL and the AMENITIES OF THE CITY! Excellent ACCESS to the FREEWAY.